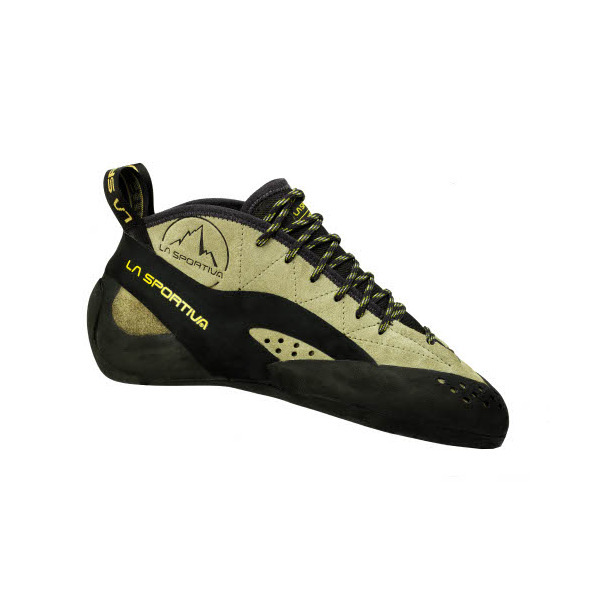 Well the La Sportiva TC Pro’s have a lot of hype to live up to. They are a top shelf Italian made shoe designed by one of climbing’s premier golden boys, Tommy Caldwell. They are touted as being exceptional on long, varied trad lines... and they are! Even with the hefty price tag attached to these high end performers they are gathering a devout following. 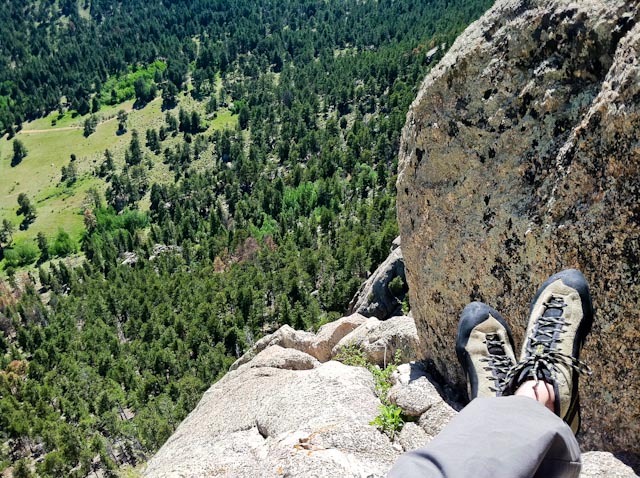 I’ve been fortunate to test these out in a variety of settings- techy 180’ trad pitches in Devil’s Tower, remote Wyoming granite, dolomite pocket pulling in Sinks Canyon, slamming them into splitters at the Creek and many places around Boulder. For me, I was pulling them out as a substitute for my La Sportiva Miuras. This took some getting used to since there is more rubber underfoot than the Miuras and other similar shoes. Once I came to know the different dimensions of the TC Pros, I came to love them. I also found I was a 1/2 size smaller in these than in my Miuras. Though they are designed for Tommy to slay his latest sketch-fest on El Cap, I found myself loving them the most on Tommy’s humble original stomping ground- Lumpy Ridge. On any giving granite multi-pitch there, you are likely to find endless granite flares, where your mid-top covered ankles are thanking you, followed by technical slab climbing, where you’re toes are giving praise to the precise cut of the rubber, and at the top out your whole foot is happy for the rigid support they’ve had received all day. On these balmy summer days I have also been loving the breathable mesh upper and the many ventilation holes on the side. Although they’re a hefty $170 to cough up on the front end, the solid and rugged design makes their longevity part of this quality investment. You’ll still be into them when you’re just taking them to the re-soler two years from now, not to the trash can. I give these shoes a big ol’ two thumbs up. Like Tommy himself these are a stunning synthesis of old school meets new school.